An essential examination of the rise and fall of Orenthal James Simpson, and parallels between his incredible story with that of race in America. 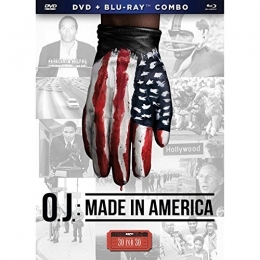 This critically-acclaimed documentary series reveals how he first became a football star, why America fell in love with him off the field, what happened in the trial for his ex-wife₂s murder, and finally, why he is now sitting in jail for another crime 20 years later. Simpson, O. J., 1947- on-screen participant. Disc 1 (184 min.) Parts I - II ; Disc 2 (183 min.) Parts III - IV ; Disc 3 (184 min) Part V, Bonus. 3 videodiscs (520 min.) : sound, color with black and white sequences ; 4 3/4 in. Originally broadcast as episodes of the television program 30 for 30 on the ESPN Network.